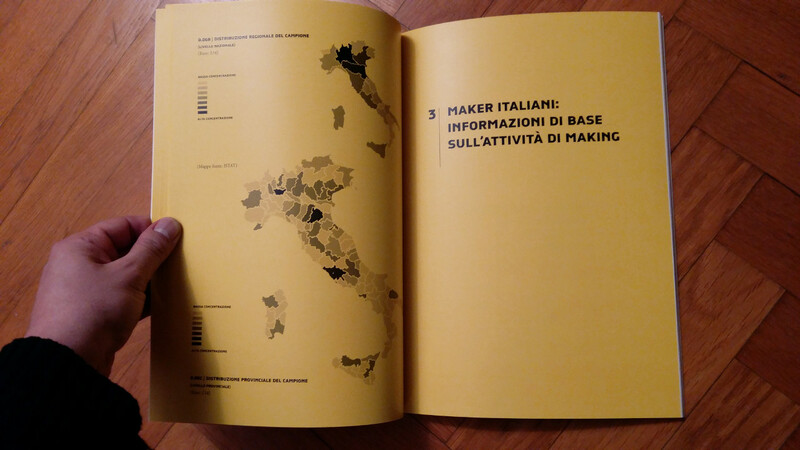 The first edition of the Makers' Inquiry was presented during the 2013 Maker Faire Rome with the idea to conduct an out-and-out inquiry not just about makers but on their socio-economic condition. It was later run in 2014, and the results published in 2015. This edition was a project promoted and coordinated by the Department of Design of Politecnico di Milano together with Make in Italy Foundation and Make in Italy Association. This initiative has been created within DOP - DISTRIBUTED & OPEN PRODUCTION RE- SEARCH cluster, part of DESIS, international network on Design, Social Innovation and Sustainability. Beside the digital copy, you can also buy a print-on-demand version un Lulu.com.